A tetrastyle atrium with four Ionic columns around a central impluvium. The atrium is decorated in the fourth style with red, black and yellow panels above a lower black frieze. 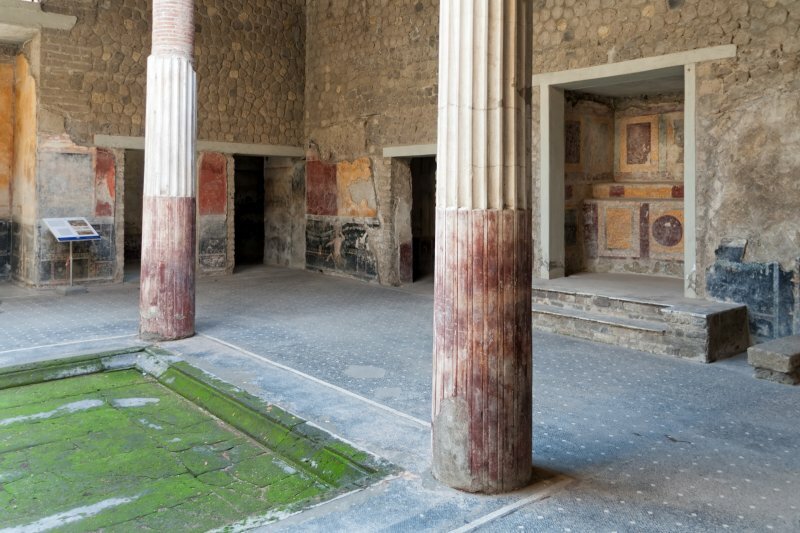 On the south west wall of the atrium (on the right part of the photo) is the household lararium (a shrine to the household gods of a Roman house), adorned with frescoes imitating precious marbles.